8,000 rugby fans inundated Mangatainoka , the home of Tui beer, for a Super 14 preseason match between the Hurricanes and the Blues. It was the first time the Hurricanes sold out for a preseason match. 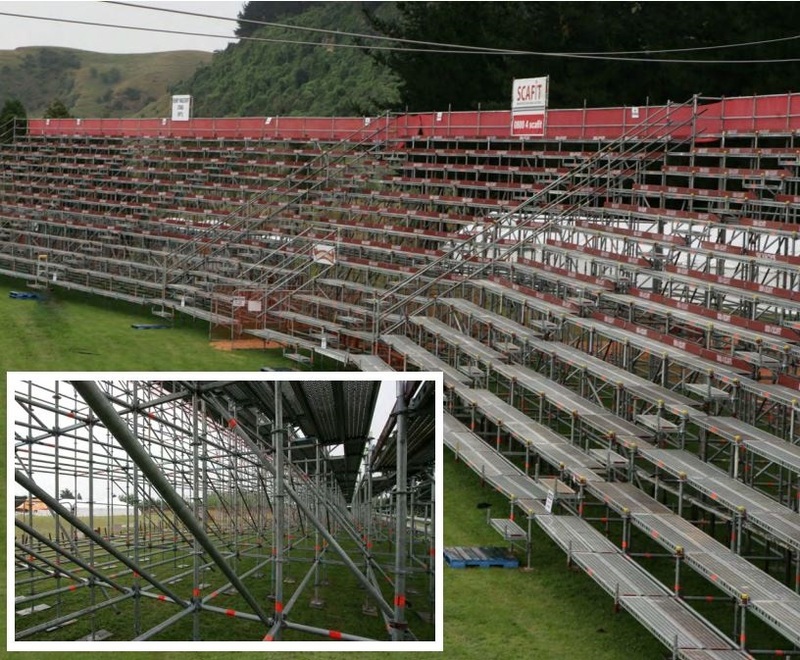 The home of Mangatainoka RFC, and home to 30 sheep, was transformed with 160 tonnes of Layher Allround scaffolding into a mini stadium. David Crowley, Managing Director of Scafit Ltd, and family tested out their grandstand with fellow fans.